Today, Information technology continuously improve. after smart phone, Internet growing on speed. 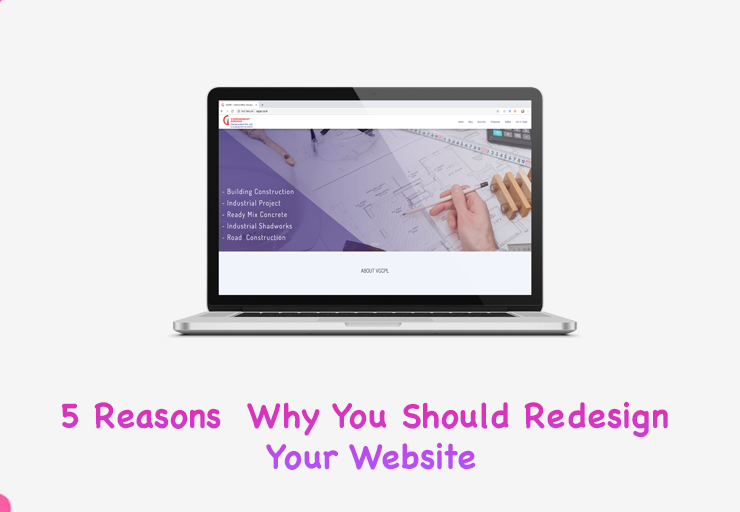 so if you have developed website before 3+ more year then you have to redesign your website. 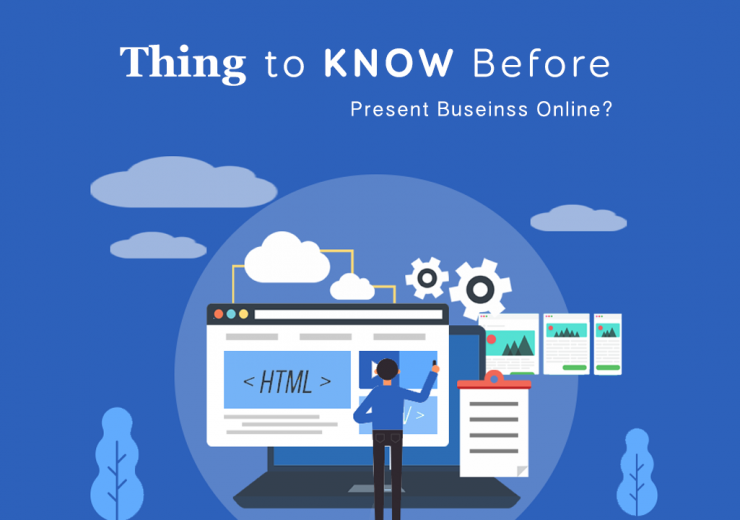 As a business owner, you must understand the importance of your website. Your web presence can be one of your most valuable tools to connect with customers, build credibility and drive more business. Having an outdated website can put a negative impact on your business. 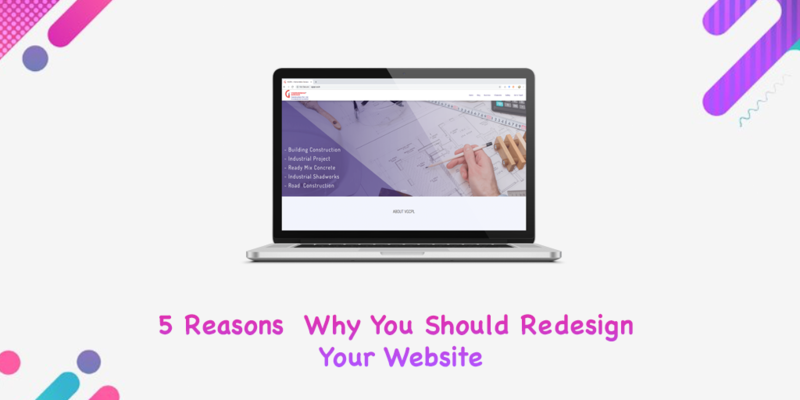 Today, my topic for discussion is- top 5 reasons why you should re-design your old website. According to Google, 61% of users are unlikely to return to a website that doesn’t work well on mobile, with 40% visiting a competitor’s website instead. Few years ago instead of mobile user Internet , user of internet on desktop were more , but now time has changed , there are max mobile user Internet. Now it’s clear that your website should be open on mobile device, in web development we call it responsive website. If your website is not responsive, then it will not work well with mobile devices or tablets. This means you need to get a responsive website in order to retain customers and stay in the race. Mobile has become so important that Google recommends it, especially if you have one website. Test to see if your website passes Google’s mobile friendliness test here. Traffic of your website relies on content and if you are not updating your website, then you are continuously losing your visitors and ranking. Only website design is not enough, you have to do optimization for search engine. It can include image ‘ALT’ tag, Meta title, Meta description and content. Please check is your website have proper content or not. Otherwise, it worthless because it will not appear on search. Ex. user looking for “Web Development Company in Bhuj ” then this word should be optimized on our website. Whether you believe it or not, approximately 75% of people will judge the credibility of your business based on the design of your website. Visuals can make or break the image of your brand and show to customers that how serious you are about them. Impressive look is most important in business. If your content is best but layout and UI/UX is not proper then user drop ratio will be high. Because your customers will form an opinion of your company from the look of your website, it’s important that your website is modern. Currently, the trend is a clean and simple layout that fits in any screen size. We need user to spend more time on website and get all necessary information whatever he/she looks for. 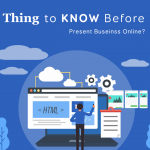 Did you know that 47% of consumers expected from a website to load in less than 2 seconds, and 40% of consumers will leave the website if it will take more than 3 seconds to load. Google has also built website speed into their algorithm to priority websites that load quickly. Sometime image size is too high and image optimization is not done properly by web developer then website takes too much time to load. So Review your site on multiple devices. Laptops, phones, tablets, etc. If your website does not load quickly on all of these devices, you are missing out on traffic and customers. This is extremely important. Bounce rate is a metric that describes the percentage of your visitors that leave your website within moments of arriving from a search results page. A high bounce rate indicates that you’re doing something wrong, either with content, with the navigation or overall look and feel of your website. On average, a bounce rate between 40-60% is considered to be OK. You can see your bounce rate in analytics suites, like Google Analytics, assuming you have the code installed. Planning to redesign your website but don’t know the website redesign cost? We “Arkay Apps” a website development company that provide website design and development services at affordable cost. Let’s see our happy client who already took our services. Let’s touch with us. Remember that your website is a means of communication; making it easier for you and your visitors to communicate with each other. Do not hesitate to make changes in your website even if it means investing a money. Many businesses redesign their websites because they want to stay fresh and give clients something new. If you have any questions regarding a Redesigning of your Website to improve your overall web presence, reach out and our team will get back to you. How to Host multiple website on One Droplet on Ubuntu Linux 14.04 LTS. Arkay apps is a Company with ample amount of Flexibility. We never let you pay more than you need, or give less attention than you deserve. Copyright © 2019 by Arkay Apps. All Rights Reserved.